Beautiful game lodge suites, a view you’ll remember for a lifetime and a crystal clear pool tell just part of the story. Put this together with true African hospitality, genuine 5-star cuisine and a game drive as you’ve never experienced before and you have The Lookout Lodge … and all just 1.5 hours away from the OR Tambo International Airport. As it should be, The Lookout Lodge will make sure your wedding is an event you never, ever forget. They want you to combine your own personal style with their experience to make it all you want it to be. 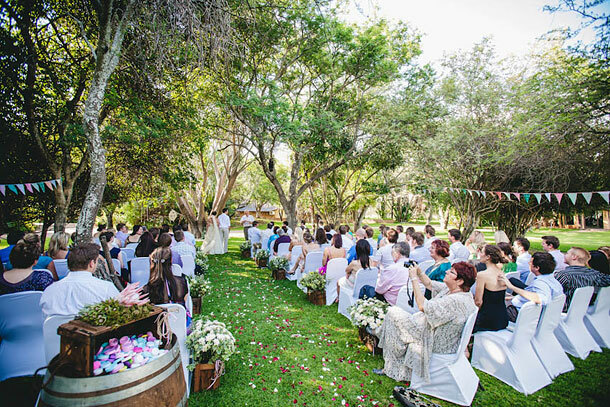 Your guests can stay overnight in Groblersdal at the lodge or it can even be a weekend wedding. The Lookout offers various wedding packages to suit all needs, and an on-site co-ordinator who can assist you in making sure your big day is perfect to every last detail! The lodge is surrounded by the beauty of Africa where guests can experience the serenity of the bush, which will infiltrate your entire experience. 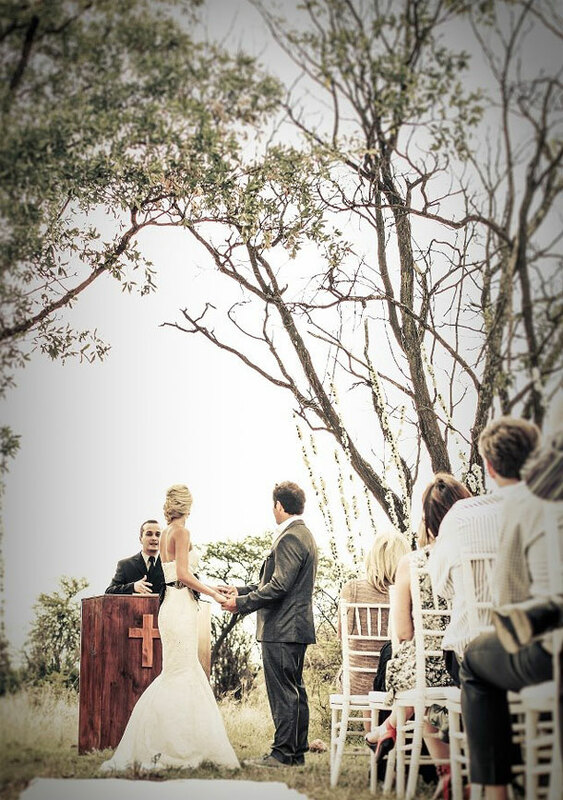 The ceremony itself is an occasion on its own and can either be held in the main building or on the reserve in the peaceful bush, near a waterhole or an option of a mountain view. To book this gorgeous venue visit The Lookout Lodge.